Properly known as the Basilica and Shrine of Our Lady of Perpetual Help, Mission Church was erected between 1876 and 1878 of locally quarried Roxbury puddingstone and Quincy granite, its 215-foot towers not completed until 1910. 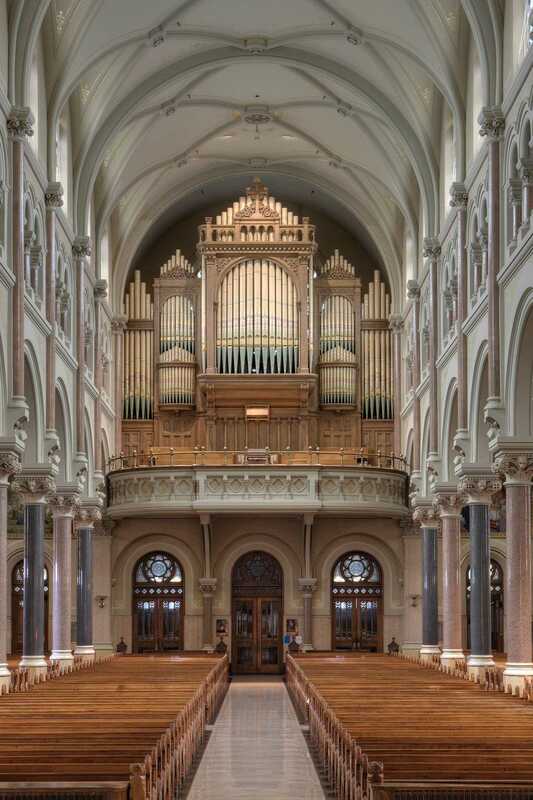 Long associated with the Redemptorist Fathers’ missions to the disenfranchised, Mission Church is one of fifty-four minor basilicas in the U.S., entitled to its own coat of arms and a papal umbrellina, kept half-open to signify the Basilica’s readiness to host His Holiness at any moment. 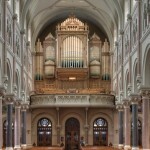 Alexandre Guilmant played the organ shortly after its installation.